The Cadet Training Centre at Frimley Park, national ‘home’ of the Army Cadet Force, has just delivered the first of the new Scottish Qualifications Authority (SQA) First Aid awards. 2013 sees the Health & Safety Executive withdraw from the monitoring and approval of first aid at work. In advance of new regulations the Health & Safety Executive have approved an alternative way to deliver first aid through accredited awarding organisations from the National Qualifications Credit Framework (QCF) and through the Scottish Qualifications Authority. ACFA were the first training provider to offer the new awards in England. As an approved centre for SQA awards in Scotland ACFA are now the first to offer the SQA First Aid awards to 9 Scottish adult volunteers who completed courses at the Cadet Training Centre last week. ACFA registered as a Centre with Future Awards in 2009 to deliver teaching certificates to first aid trainers. Since then some 150 adult volunteers have received prestigious nationally accredited teaching qualifications. Now ACFA are all set to deliver around 100 of the new QCF Level 3 First Aid at Work and Scottish SQA qualifications every year. 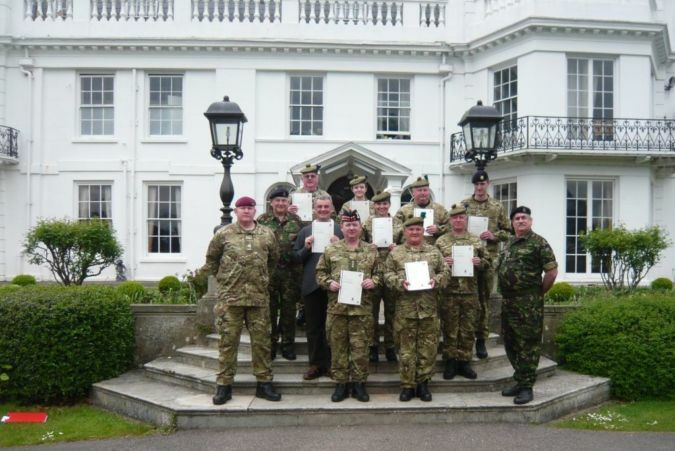 Lieutenant Colonel Alan Sharkey, Chairman of ACFA’s National First Aid Panel and Course Director said “we have always aimed to ensure that Frimley Park is a Centre of Excellence in first aid training. We are delighted to be able to offer these brand new and prestigious first aid qualifications through Future Awards”.